@HondaIndy barely has the ink dry on their three year renewal agreement for the IndyCar race in the streets of #Toronto when they further announce additional sponsorship partners including Sony, CDW Canada and two craft beer brewers - Muskoka Brewery and Amsterdam Brewery. Following changes to the Ontario Liquor Laws Honda Indy Toronto is working with the Provincial Government to allow a full-site license - Exhibition Place will be a giant patio during the summer race weekend. Canadian driver Alex Tagliani drives through the pits after a practice session on the track. Other good news is the continuation of the FREE FRIDAY admission sponsored by the Ontario Honda Dealers Association. Patrons can access grandstands and the IZOD IndyCar paddock. See the official press release after the jump. 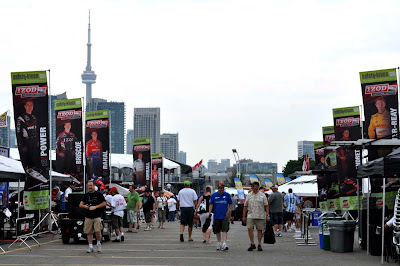 May 17, 2012 (Toronto, ON) – The Honda Indy Toronto announces the addition of new partners, aiming to enhance the overall on-site experience. Sony, CDW Canada, Muskoka Brewery and Amsterdam Brewery join the list of corporate partners for the 2012 race, which takes place July 6-8. 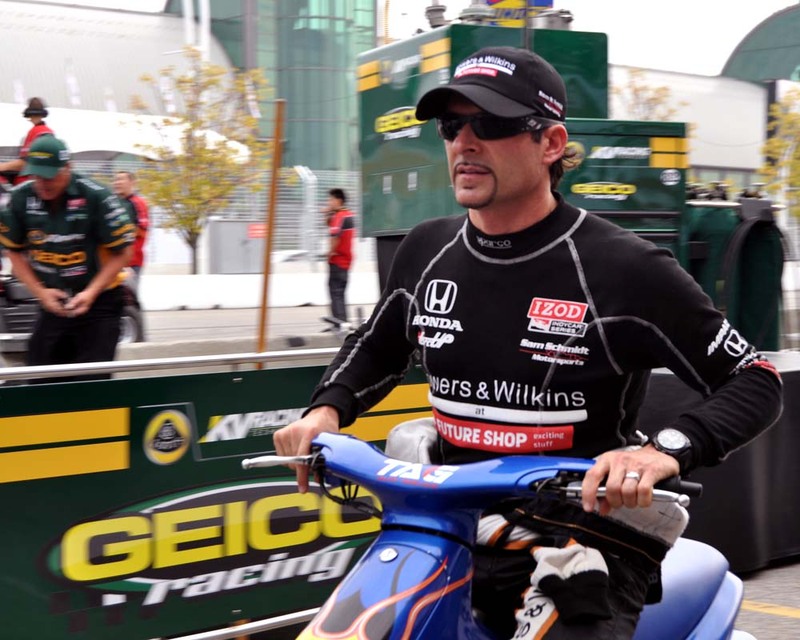 Event organizers have been focused on continuing to improve the hospitality experience at the Honda Indy Toronto for 2012. The size of each suite will increase significantly, allowing more comfort for socializing and entertaining within. As part of a new partnership, Sony will equip each hospitality suite with a 40" BRAVIA® LED EX640 Internet Television. These televisions will provide high-resolution broadcasts of a live track feed throughout race weekend. A top manufacturer in the entertainment industry, Sony becomes the official television sponsor of the Honda Indy Toronto, and also plans to create a lounge located inside the Allstream Centre allowing consumers a place to relax, and enjoy key Sony products during race weekend. CDW Canada, a leading provider of technology solutions, gains naming rights to the Honda Indy Toronto’s VIP Club. TheVIP Club presented by CDW Canada is a full-service hospitality experience for individuals to enjoy the benefits of suite accommodations. Pass holders to this VIP area receive suite access, IZOD IndyCar Series Paddock passes, a VIP Pit Walk-Thru pass, an official Honda Indy Toronto souvenir program, and food and beverage service each day. Organizers are collaborating with the province of Ontario, working towards providing a full-site licensed environment for the first time in Honda Indy Toronto’s history. The addition of local craft brewers, Muskoka Brewery and Amsterdam Brewery, will add a craft beer experience to the event. Race fans within the legal drinking age will be invited to sample a selection of craft brews and learn more about them through the presence of on-site brew masters and brewery staff. Event organizers plan to expand on this new component with the addition of more Ontario Craft Brewers in the future.